NEW ZEALAND: Effective 01 July 2013, new Government Web Standards replace the New Zealand Government Web Standards 2.0. Developed in conjunction with disability communities, vendors, and representatives from State Sector organisations, the new Standards not only set clear and common requirements to guide the design and development of quality web content, but they also establish the minimum level of quality that websites are expected to meet in order to better ensure that Government is providing usable, accessible experiences to New Zealanders. The new Standards have implications for the Government’s web presence that are directly aligned with the obligations of the Human Rights Act 1993 and other legislation and policies. The Standards also support the aims and priorities identified in the recently released ICT Strategy and Action Plan to 2017, and Better Public Services Results 9 and 10. The new Standards are delivered as two separate standards. The Web Accessibility Standard 1.0 focuses on accessibility as defined by the Web Content Accessibility Guidelines (WCAG) 2.0, with some minor exceptions. The Web Usability Standard 1.0 simplifies the non-accessibility related requirements from the previous NZ Government Web Standards 2.0. It focuses on the most important issues (i.e. contact information, copyright, privacy), and reduces the level of prescriptive detail, thus making them easier to apply and assess. 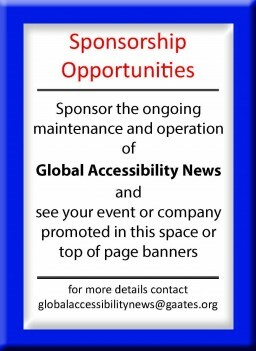 For more information, visit About the Web Accessibility Standard and About the Web Usability Standard.